Regular readers probably know I don't write about jazz singers very often, and that's because I'm not that crazy about them. I enjoy Ella Fitzgerald scatting or Sarah Vaughan twisting her silken voice into all kinds of crazy or the cool croon of Johnny Hartman as much as the next person, but these days there aren't too many singers working in the tradition that I would willingly turn to. Andy Bey is one of them. The 73-year old doesn't make recordings very often, and that measured pace of his output is simpatico with his approach to his art: patient, meticulous, and thoughtful. 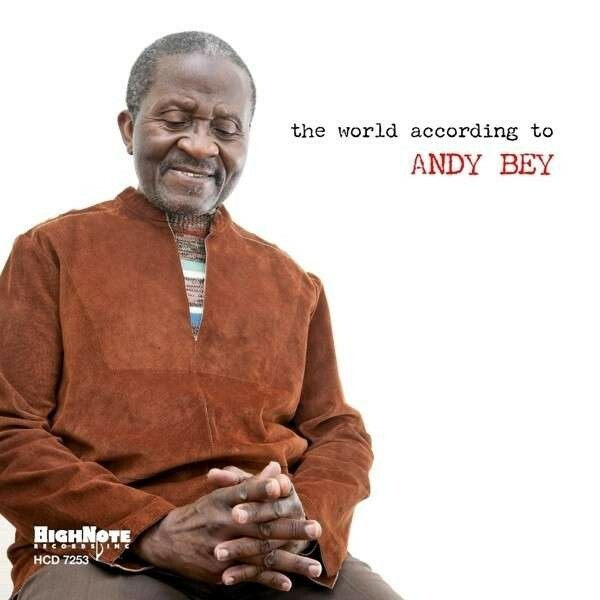 Last month he released The World According to Andy Bey (HighNote), his first album in six years, and even though it features only his rich baritone and his own sparse piano accompaniment, there's more than enough to grapple with for quite a few more years. The recording, cut in a single day in March, finds Bey in an introspective mood, balancing standards like "It Never Entered My Mind" and "Love Is Here to Stay" with some fascinating originals. There's his wordless "Dedication to Miles," a pure vocal improvisation based on Miles Davis's playing on Charlie Parker's "Cheryl," and a series of semiexistential inquiries that almost seem like notes for a sobering motivational talk. "The Demons Are After You," for example, is rather dark, as Bey tallies up life's negative forces and expounds on the need to fight them, concluding of that path: "It's an individual journey / It will never work for the masses." In "There's So Many Ways to Approach the Blues" he starts out sounding like a musicologist, delineating the stylistic variations of the form, before finally asserting that there's ultimately only way to sing them, which is to tell the truth. "Being Part of the What's Happening Now" is a series of observations about the world as Bey sees it, as he approvingly notes protests and racial harmony, while excoriating greed, but ultimately noting the need for engagement in the here and now. These originals are largely open-ended—the lyrics don't rhyme or follow any sort of fixed meter—so they almost feel like pure improvisation, something Bey has a true knack for. On a chestnut like the Gershwins' "But Not for Me" his modulation is startling, veering from vibrato-rich pianissimo to a piercing chest-voice, marbled and shimmering in tone, and his piano work follows suit. His playing traces out the changes, but more importantly it functions as a dialogue partner with his voice, answering each line. He taps into his more energetic, swinging past with the Bey Sisters on a wonderful spin through the Fats Waller classic "The Joint is Jumpin'," while his take on "'S Wonderful," which you can check out below, underlines his mastery of straight-up, no-frills jazz singing.